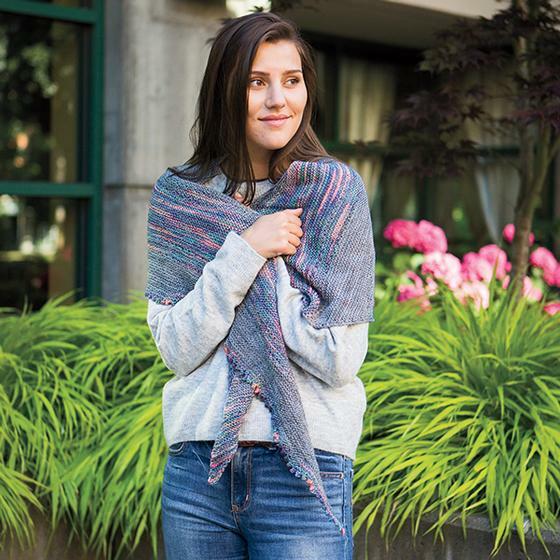 Subtle stripes in multi sock yarn rule the Brindle and Blend Shawl. 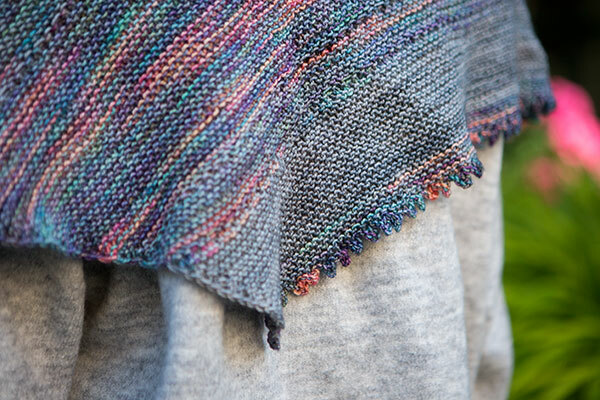 This shawl is knit from end to end on the bias, the pattern includes two different bind off options. 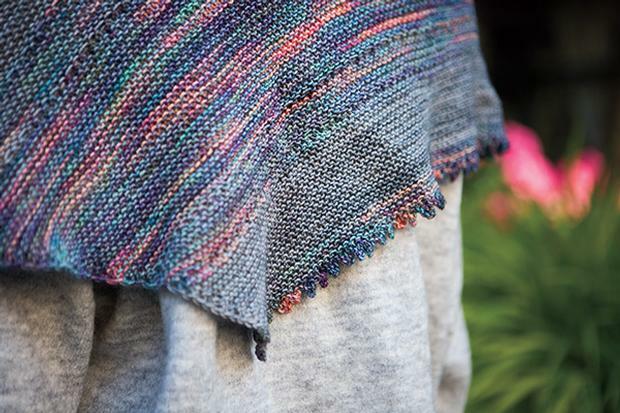 Brindle is a streaky or striped pattern; this shawl incorporates subtle blending of these brindle stripes along its length creating a wide and colorful shawl. 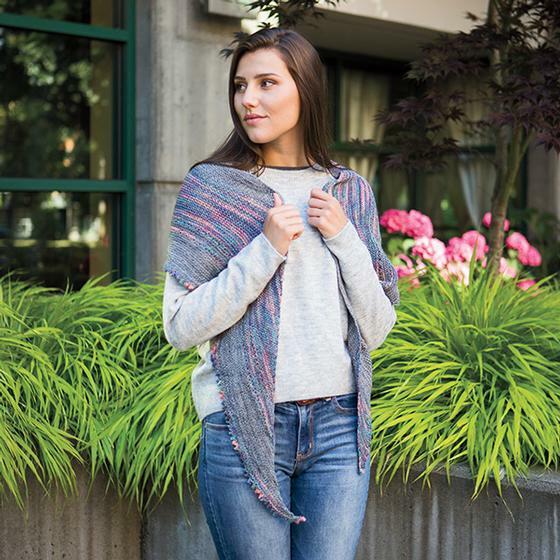 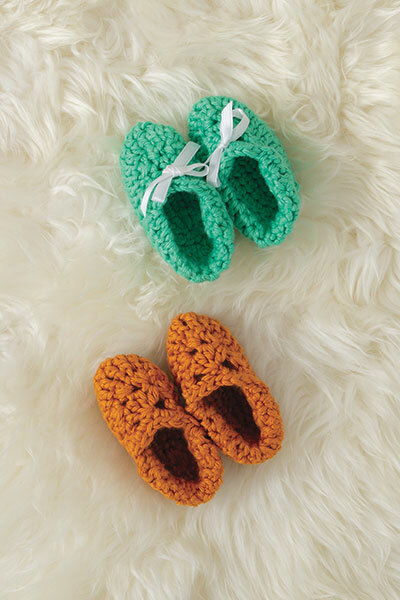 Use two wildly contrasting colors or try a more understated look with 2 tonal shades - either way, this project will be a beautiful addition to your wardrobe.